The MG SUV for the Indian market, set to launch during the first half of 2019, will have BS-VI complaint engines in both petrol as well as diesel guises. As you must be aware, MG Motors is all set to set their foot in India with the launch of an all-new B-Segment SUV. This vehicle is currently in its testing phase and has been spied a number of times on Indian roads. Furthermore, we have every reason to believe that MG’s SUV for India is going to launch within the first half of 2019. So far details regarding this all-new MG SUV are quite scarce. However, according to a report published in Autocar India, it is going to launch in India with BS-VI complaint engines. Furthermore, the reports state that there will be both petrol as well as diesel derivatives available at the time of sale. 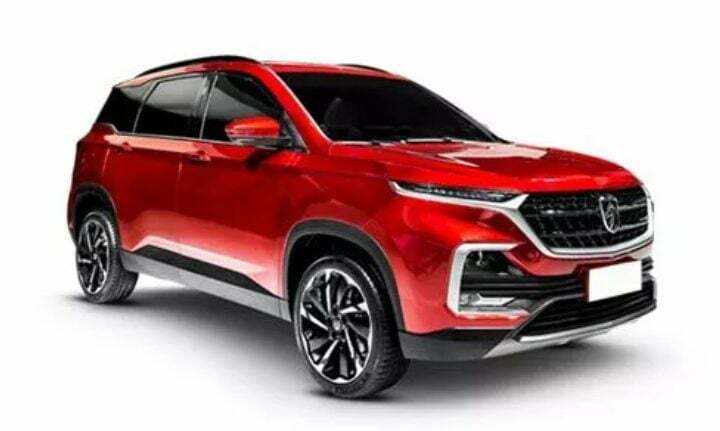 MG officials, as told to Autocar India, said that that they had to make a choice between launching this SUV with BS-IV or BS-VI engines. This is due to the fact they are bringing this SUV almost a year ahead of the official implementation of BS-VI emission norms. After much thought, it was decided that the MG SUV for India is going to launch with BS-VI complaint engines right from the start. The MG SUV for India is essentially the Baojun 530, a B-Segment SUV currently on sale in China. Recently, spy images of this SUV’s interiors came to light. Going by these you can see that the MG SUV will stand as a premium product in India. It gets a dual-tone dashboard with soft-touch materials used on its upper half. Other creature comforts include an electrically adjustable driver’s seat, a panoramic sunroof, leather upholstery, front and rear parking sensors among others. There are speculations that the MG SUV for India is going to come with a 1.5-litre petrol engine. And that the diesel engine will be a 2.0-litre Multi-jet unit sourced from Fiat. It is likely that there will be no manual gearbox on offer. The petrol derivative is going to get a CVT unit. While the diesel derivative is going to come with a torque converter unit. As far as the prices go, expect this SUV to cost under INR 20 lakhs. MG has said that they are going to employ maximum localization with this product in order to keep the prices competitive. We expect the base variant to cost somewhere around the mark of INR 14-15 lakhs. With this, its primary competition will include the likes of Tata Harrier, Jeep Compass and Hyundai Tucson. 2020 Hyundai Creta 7-Seater variant rendered!